Pros: It’s quiet, and the wet/dry option is great, best Waterproof Beard Trimmer, can be used in the shower. The trimmer is easy to clean and feels very nice. Battery life is really good. Cons: Wet hair is longer and harder to trim. Power indicator gives NO CLUE as to its Charge Status. In a world full of home grooming kits which offer different features and functions, the Milano Series ER-GB40-S Panasonic stands out. This waterproof hair, beard and body trimmer combines convenience and style to give you a versatile and safe to operate trimmer that saves you time when you are on the go. After looking over the features of this detail trimmer, I give it 4.2 stars based on its gorgeous design, quiet operation, solid build, compact size, and ability to deliver a consistent trim. If you are familiar with home grooming kits, then you are probably aware that most trimmers come with multiple comb attachments for different length settings. These attachments are cumbersome and slow you down, and that is why the ER-GB40-S has an adjustable dial with 19 settings which range from 1-10 millimeters (intervals of 0.5 millimeters). These settings make grooming easy, and allow you to achieve the hair length you hope for. There is nothing worse than trying to trim your facial hair with an unreliable blade that more often than not nicks your skin. Thankfully, there is nothing to worry about when using the Panasonic, as it features fast action hypoallergenic stainless steel blades that cut at a 45 degree angle. The result is a sharp and clean trim, with no chance of hair pulling and pain. Furthermore, the control comb of this trimmer has rounded prongs, so as to ensure that you do not cut yourself as you trim your hair. As you might have gathered from the introductory paragraph, the Milano Series ER-GB40-S boasts of waterproof construction that makes it possible to use in the shower and easy to clean afterwards. You can trim your hair in wet and dry conditions, which makes it possible to quickly groom yourself when you are in a hurry. Additionally, the water holes/shutters in the trimmer allow it to drain quickly and easily when you are cleaning it. This makes maintenance simple and hassle-free. 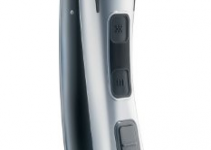 The washable ER-GB40-S is a cordless rechargeable trimmer, with AC120V batteries. The cordless function of the trimmer enhances the convenience of the ER-GB40-S, and makes it possible to take on your trips and travels. Additionally, the AC recharger of this hair trimmer comes with a stand and charge indicator. The indicator light on the charge stand will glow red when charging is taking place, and will secure the trimmer when you are not using it. The ER-GB40-S comes with 3 comb attachments, and a cleaning brush. The 3 rounded combs allow for close trims, while the cleaning brush makes maintenance simple and fast. 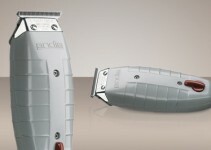 The Milano Series trimmer measures 6.7 inches by 1.8 inches by 1.8 inches, and weighs only 5.3 ounces. This compact and ergonomic design allows you to complete your trimming without arm fatigue, and the perfect fit of the trimmer maximizes your hand control as you trim your hair, beard, or body. The ER-GB40-S also comes with a rubberized grip which ensures your safety when you are in wet conditions, and maximizes your comfort as you are undertaking your trimming. The ER-GB40-S has highly respectable ratings on grooming and shopping websites, including Amazon where it holds a 4.1 star rating. Out of the 1,004 shoppers who have reviewed this hair trimming product, over 78% have given the Panasonic a minimum 4 star rating, with 569 perfect scores. This high rating is attributed to the ease of use of the product, and the quality of cut it produces. Unfortunately, the ER-GB40-S comes with a few drawbacks- as to be expected with any grooming kit. Firstly, the Panasonic trimmer lacks an indication light that shows the user how much charge they have left, as well as the fact that there is no light to indicate when full charge has been reached. Secondly, there have been complaints about the excess maintenance the ER-GB40-S requires, as the instructions state that the trimmer needs oil before and after every use. This effort is especially tedious, though it ensures that the trimmer works in perfect order. The Milano Series ER-GB40-S by Panasonic is definitely a valuable grooming kit to own, as it offers high performance at a low price. 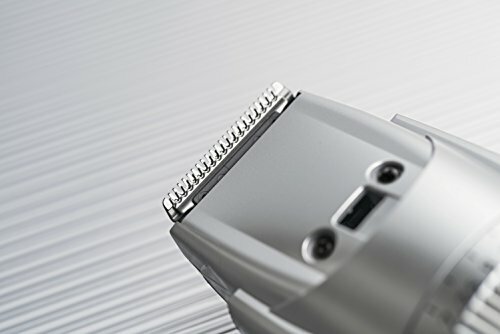 Though it comes with indicator light and maintenance drawbacks, the features and functions of this trimmer ensure that your trimming experience is like no other. So if you are looking for a replacement/upgrade for your old trimming kit, look no further than the desirable and highly rated ER-GB40-S.